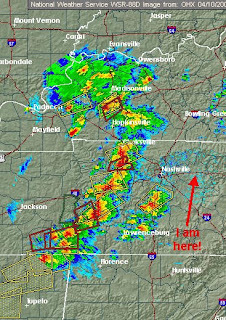 Just sitting here waiting for the next round of storms to come in. I brought the cars in the garage and packed up the patio furniture in the shed (don't want to lose another glass patio table like I did a couple of years ago). I am sooooo ready for the weekend. I have another trip just around the corner - next Thursday. Today is pretty quiet. Most of my setup happens on Monday-Wednesday. It's still hard to get my head around his passing - such a surprise. It really makes you reflect on your own life and those around you especially since he seemed appeared to be pretty healthy. That's it for now. More excitement later..if we don't blow away. Swine Flu? Man, I'm too fast to let it catch me!